The biennial Te Matatini Kapa Haka competition is a huge event. 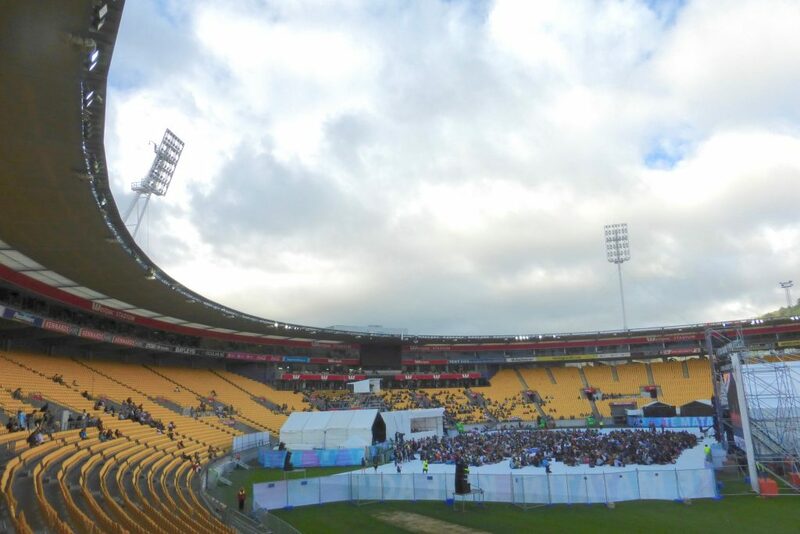 Upwards of 50,000 people flowed through Westpac Stadium in Te Whanganui-a-Tara, Wellington over four days from 21 – 24 February. This was the 24th festival with 46 teams competing, all hoping to take out the top honours: the Duncan McIntyre trophy and the title Te Toa Whakaihuwaka. I was part of a team of Ngā Taonga staff working in Ngā Taonga Tuku Iho – an exhibition stand showcasing the work of seven government and cultural organisations: the Ministry for Culture and Heritage Manatū Taonga, Creative New Zealand Toi Aotearoa, the New Zealand Film Commission Te Tumu Whakaata Taonga, the National Library Te Puna Mātauranga o Aotearoa, the Alexander Turnbull Library, Archives New Zealand Te Rua Mahara o te Kāwanatanga, Heritage New Zealand Pouhere Taonga and Ngā Taonga Sound & Vision. 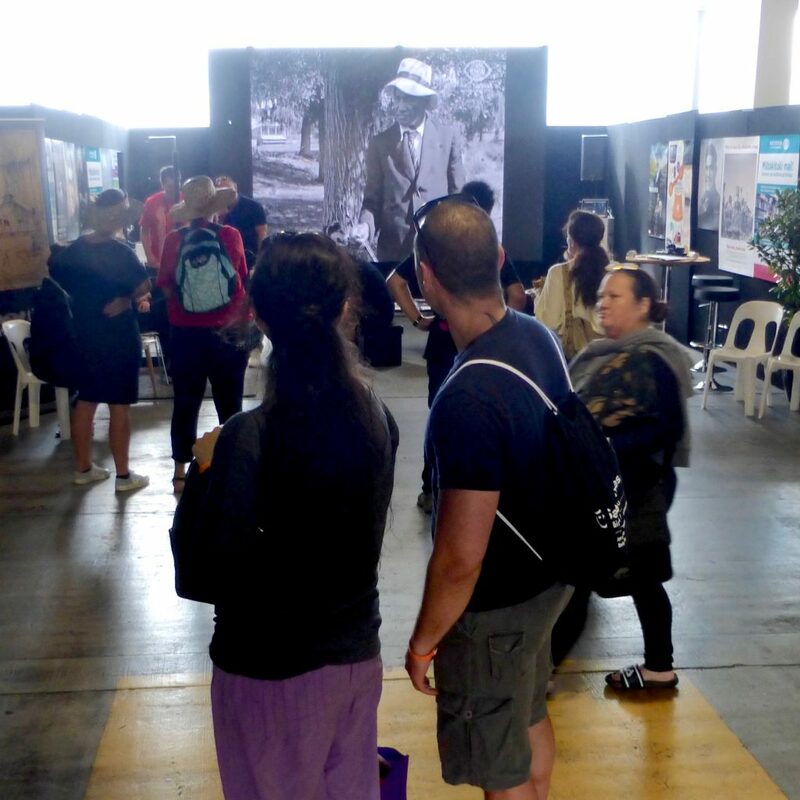 On a jumbo five-metre screen, Ngā Taonga and the other agencies showed archival kapa haka performances and a varied programme of other material. Visitors could choose content to watch using a ‘video jukebox’ style system. It was a one-stop shop for art, culture and heritage at the festival. The Ngā Taonga Tuku Iho stand at Te Matatini ki te Ao 2019. Photo by Fraser Pettigrew. 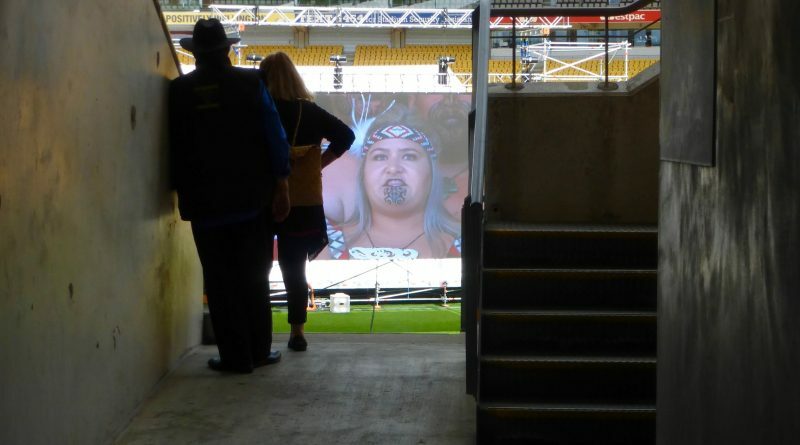 Ngā Taonga Sound & Vision also supplied a 20-minute video clip for the huge LED screens in the stadium to the sides of the main stage which played out each lunchtime. The video featured footage from 1901 through to 1998 looking at the development and progress of kapa haka over the years. It also looked at the contribution of Pōneke-based groups and highlights from the past two occasions when Wellington hosted Te Matatini in 1979 and 1998. 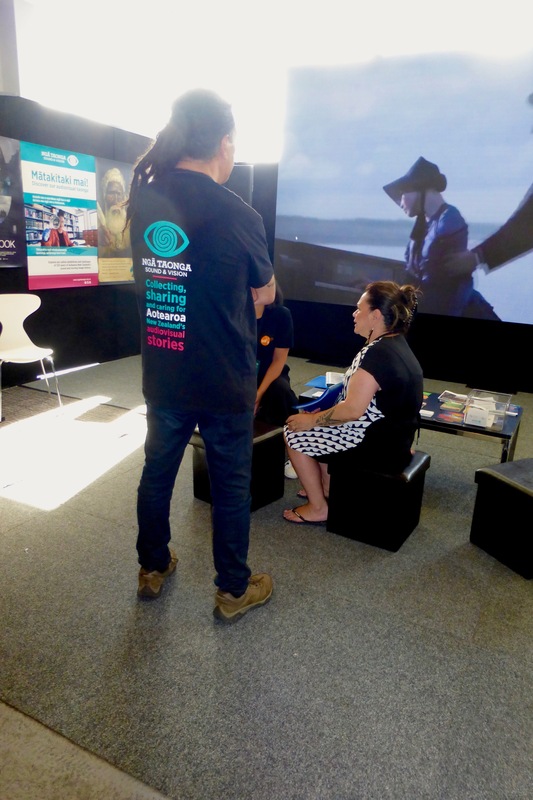 Back at our Taranaki Street offices, Ngā Taonga showed further footage of the last four winners of Te Matatini in the ‘Haka Hub’ in our TV lounge. I’d visited the stadium a number of times but only for major sports events. I was surprised that the buzz and atmosphere from the crowd was right up there with that of an international rugby or cricket match. These fans were passionate, often decked out in clothing representing their kapa haka groups, rohe or iwi. The end of each performance was greeted by a huge ovation. The fans had every reason to be hyped because the performers were sensational. Te Matatini has been dubbed the Olympics of New Zealand performing arts. Over the past year all the participants had spent countless hours on evenings and weekends in rehearsal. 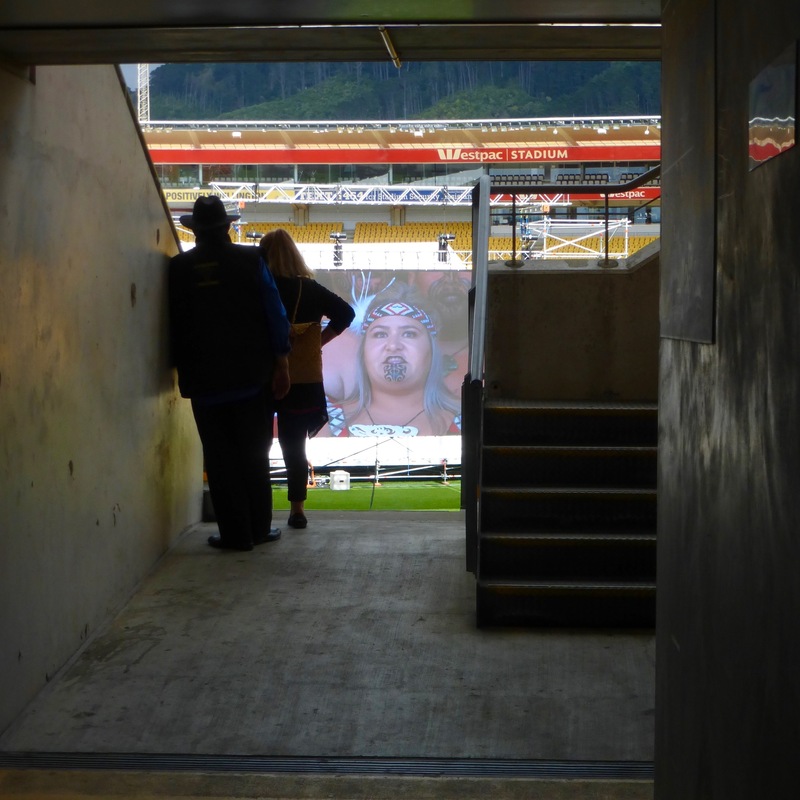 Westpac Stadium, Te Whanganui-a-Tara, the venue for Te Matatini ki te Ao 2019. Photo by Fraser Pettigrew. Aside from the performances, there was plenty to see and do. Among the many food stalls there was a strong focus on healthy kai – it was an event without alcohol, sugary drinks and grease. Instead, stalls of hāngī and kaimoana were doing a great trade. Plus whānau were welcome to bring in their own food and drink. The weather was mostly fine until the last day, when the finalists had to perform amid showers and a cold southerly. But it seemed as though the support of the crowd would help the weather lift at any moment. Congratulations to overall winners Ngā Tūmanako, second place Te Piki Kōtuku o Ngāti Rongomai and third place Te Whānau ā-Apanui. More information about the winners is available here. An enormous amount of work and organisation went into the event from hosts Ngāti Toa Rangatira and Te Atiawa me ngā iwi o Taranaki whānui. Thanks for everything. Thanks also to Te Matatini and their partners. This was the first time the event was held in a major city stadium. 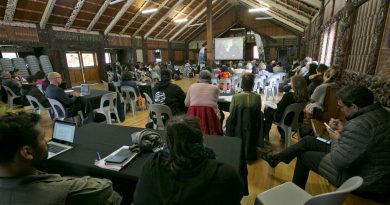 It was also the first time Te Mataini had been held in Te Whanganui-a-Tara since 1998 and it was a huge success. Throughout the festival lines flowed easily, crowds were happy and everything ran to time. Mauri o Te Matatini has now been passed to Tāmaki Makaurau, which will host the festival in 2021 at Eden Park. Ngā Taonga and Manatū Taonga staff at the Ngā Taonga Tuku Iho stand. 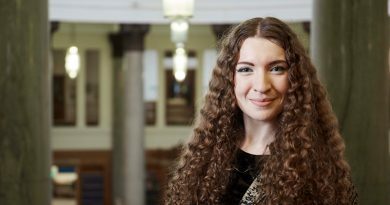 Photo by Fraser Pettigrew.